Yep, JOE had the life-highlight of getting some face-to-face time with Luke Skywalker himself. 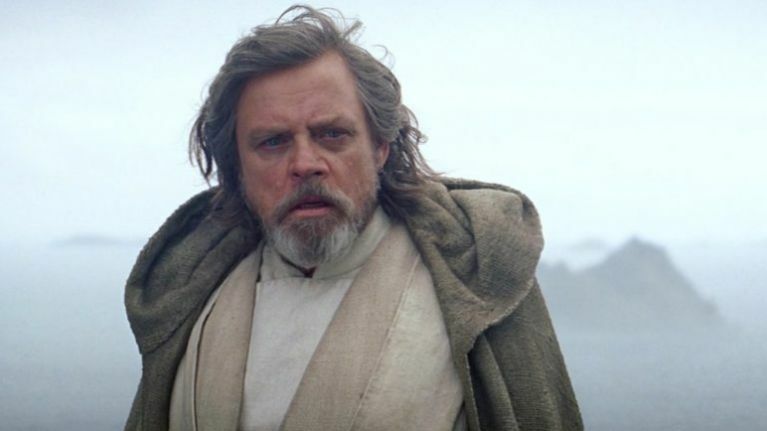 In the lead up to Star Wars: Episode VIII - The Last Jedi, we were invited to interview with Mark Hamill, and we absolutely jumped at the chance. Once we sat down with the actor in the London hotel room to get our chats on, we knew immediately that he was incredibly friendly and as big a fan of his projects as just about anyone else. We'd ask him a question, and his mind was so joyful to be talking about it that his mouth could barely keep up with his lightning speed thoughts, often going off in a new direction before finishing the last sentence. 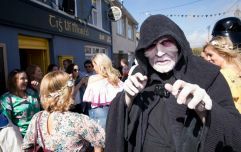 Obviously, since a large portion of The Last Jedi was filmed in Skellig Michael as well as other parts of Ireland, we had to ask what that experience was like for Hamill himself, who didn't hold back in saying just how profound he found it to be. 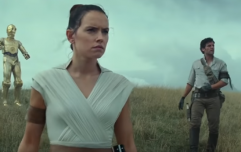 "I remember, I had this feeling that rushed over me when I was at the top of Skellig Michael, because the first thing we did on the original Star Wars, before Carrie came over or Harrison came over. I went with Sir Alec and Anthony and Kenny Baker - the two droids - and we went and we did the desert scenes in Tunisia," he revealed. "It was very easy to just be transported and really feel like you were in a galaxy far, far away. It was just - y'know, I got the chills. And I never had that feeling again, until - not in Empire, when we went to Norway, it was brutally cold, but snow is snow, I've seen it before. "In Jedi, we went to the Redwood forest, and again, gorgeous, but again, it was something that I was familiar with. "Y'know, also, it was built in the 1100's, and you go 'How did they get these stones out the island in the first place? ', y'know? These monks must have built canoes or who knows, but it is a really extraordinary place." 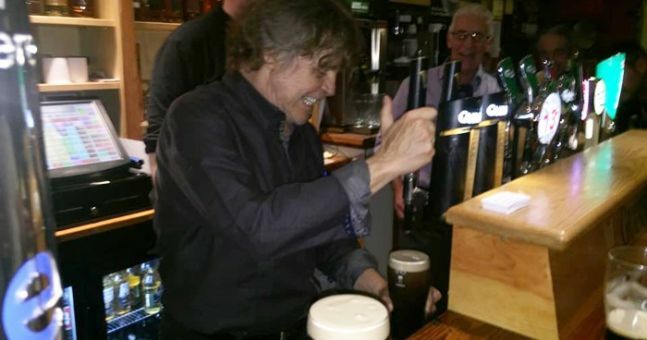 During his downtime though, he must've found ways to let off steam, including the now infamous pic of him behind the bar in a local pub pulling a pint. What was happening there? "So I got behind the bar, and I did the selfies and all the pictures, and I said 'Why don't you teach me how to pull a pint of Guinness?' cos Lee Marvin had taken me to a pub back when we were doing The Big Red One [1980 movie set in World War I], where when they finish the Guinness they do this, and they put a shamrock on top!" "Anyway, its a process, you have to (pull it to) half-way and set it aside and all that. Again though, that picture got all over the internet and people think that I'm, y'know, possibly thinking of bartender as a back-up career. There was also that picture of him with the doggie, while he was tucking into a particularly famous local brand of crisps. We actually brought Hamill some packets of crisps over from Dublin for him to enjoy (you can't buy Tayto in England, for the most part), but it turns out he was doing it more just to annoy his personal trainer. "Don't you know I'm on the 'If it tastes good, don't eat it' diet? I did that picture... I was sort teasing the trainers, what I called the Food Nazis, who don't let me near anything like this. I wasn't really eating them, I was posing with them, and then my agent said 'What are you doing commercials on the internet for?'" Hamill looks at the crisps we've brought him. "I'm going to donate these to the homeless."